I am seriously in love with my new mini journal. Those of you who follow ApronsAndStilletos on Instagram, know that I’m a planner/journaling geek. I love writing things down, making lists and keeping things organized. I have a bazillion notebooks, but not a teeny-tiny one small enough to fit in my handbags. I was going to buy one but, decided to make one instead, that way it would be exactly what I wanted. 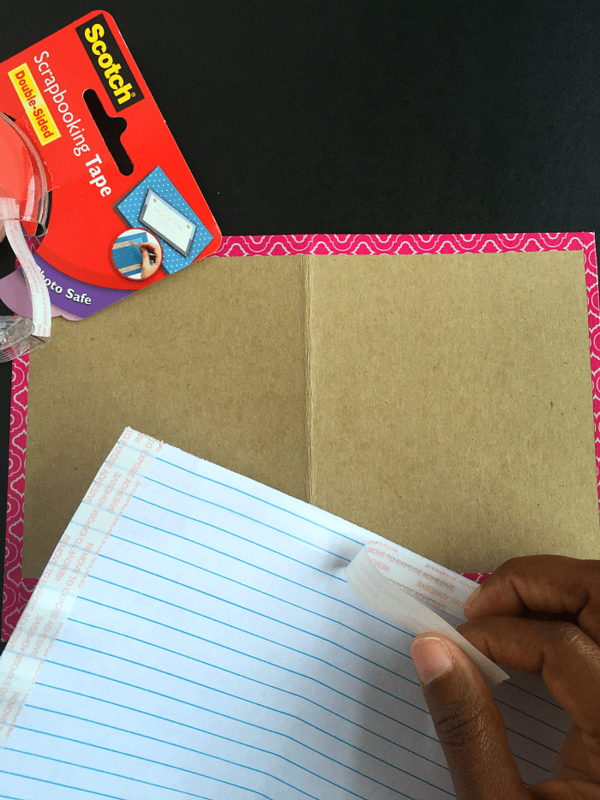 With the help of my friends at Scotch® and their amazing product, my mini journal was beyond easy to make and customize. 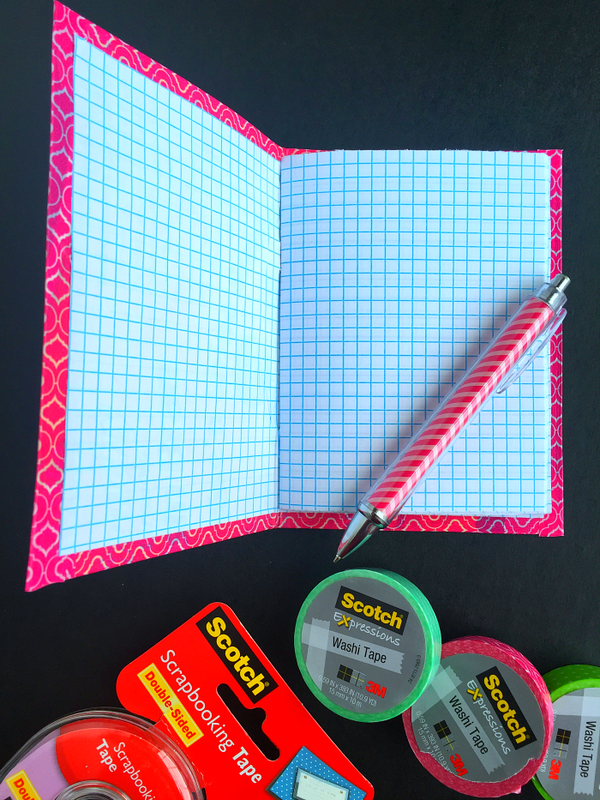 The colorful selection of Scotch® Expressions Washi Tape let me turn this boring everyday cereal box journal into something cute, fun and functional. I’m going to make a few more and I will share how I decorated them in a later post, but for now, I’ll share the tutorial with you. I think a set of three of these would make a super cute gift for the journal nerd in your life. That’s me, which is why I’m making two more for myself. Step 1: I clamped my stack of paper together using binder clips. I recommend 15-17 sheets for a 30ish page journal. 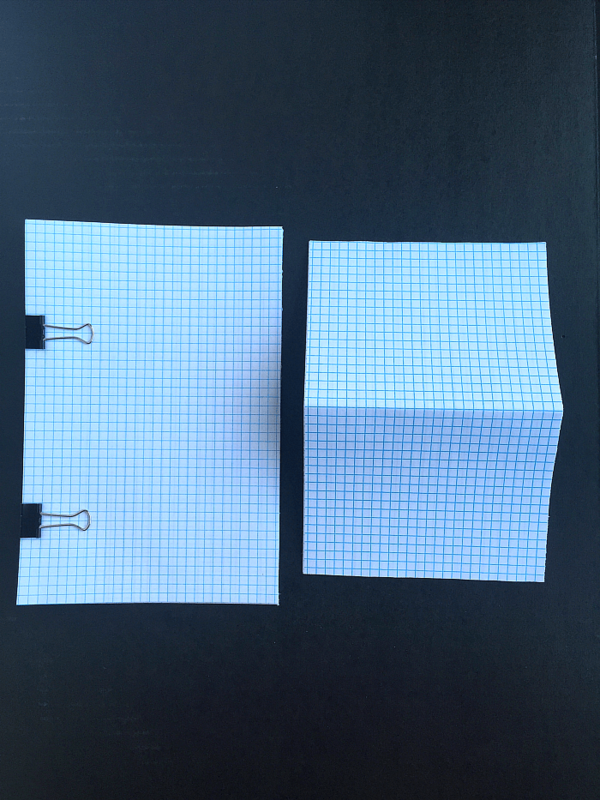 Then divided the graph paper in half, and scored it down the middle using a utility knife, until each sheet was cut through. I took one stack and folded them in half. 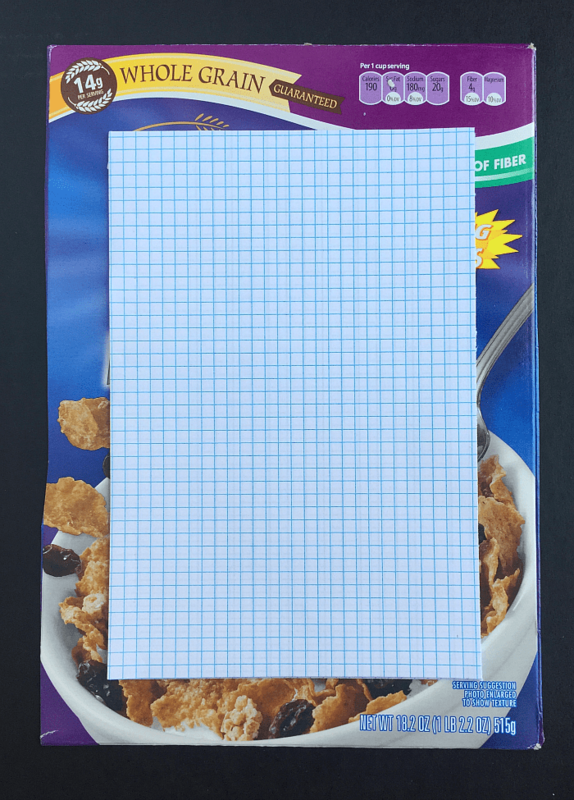 Step 2: Next, I used the unfolded stack to trace the outline on to a piece of cardboard from the cereal box. Then I extended to width of the traced rectangle by 1/2 inch, then I cut it out. Step 3: Now I decorated the cereal box using “Pink Lattice” Scotch® Expressions Washi Tape. 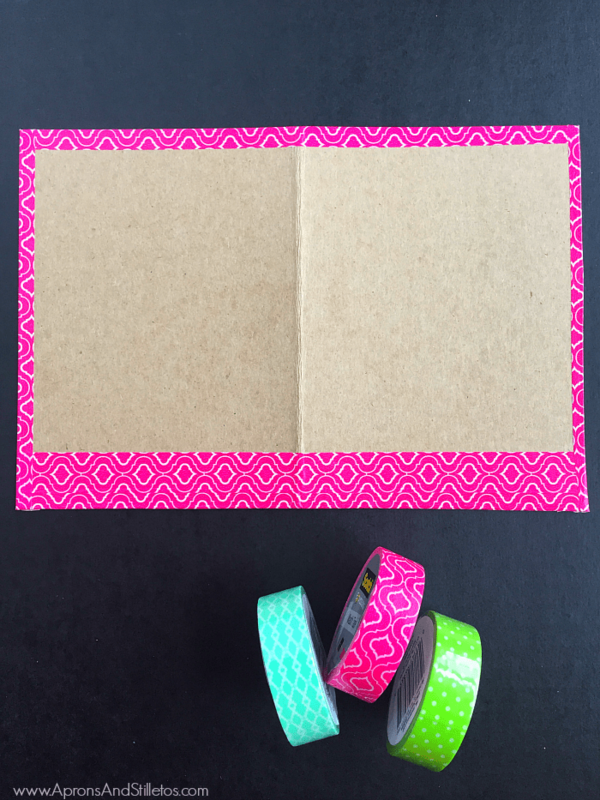 For the next one I make I’ll use either the “Teal Lattice” or “Green Dot” Washi Tape. I chose to decorate with washi tape because it’s so forgiving and easy to use. When I stick it in the wrong place, I can easily pull it off and reposition it. I decided to just create a border and allow for natural color and texture from the inside of the cereal box to show. Step 4: The next thing I did was cover the part of the cereal box that has imagery. I didn’t want this to be the first thing I see when I open my journal. 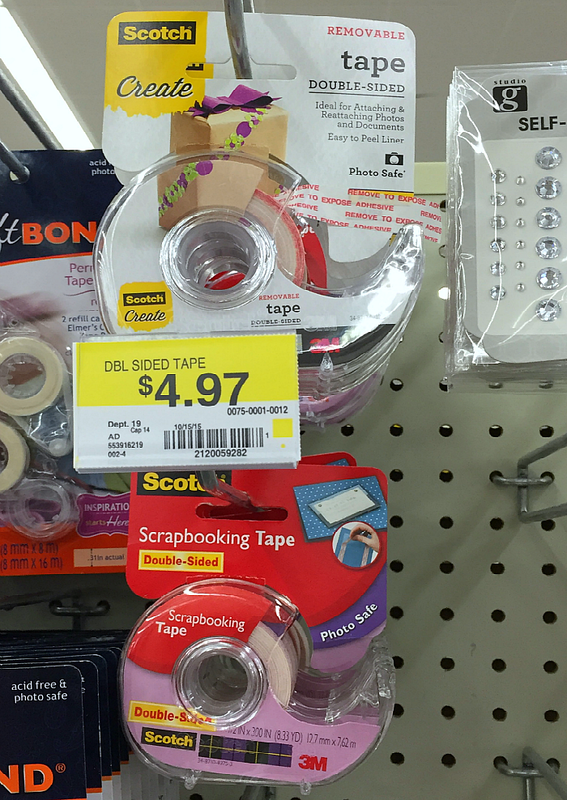 The best way to solve this problem is by using and adhesive from the Scotch® or Scotch® Create line. 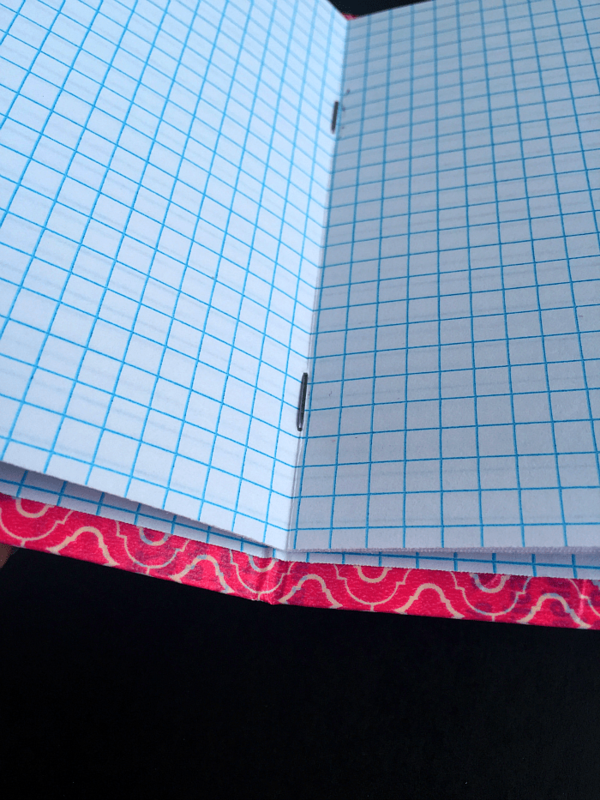 Using double-sided tape gave my journal a neater look once applied. Step 5: To attach my journal pages to the cover, I used a stapler. I positioned all of my sheet inside and placed staples in two placed along the center crease of the pages. For this part, I recommend a heavy duty or larger stapler or even a staple gun. Line up your cardboard and paper. Then place the stack of paper and cardboard, specifically the area to be stapled, on top of something flexible like an eraser. Press the staple in place. The prongs will go through your stack, but to fold under. The prongs will end up in the eraser. Pull your journal and the staple prongs out of the eraser and manually fold down the staple prongs. The last thing I did is add a removable vinyl sticker to the cover and wrote the word ‘journal’ on it. I was instantly in love with the finished result. 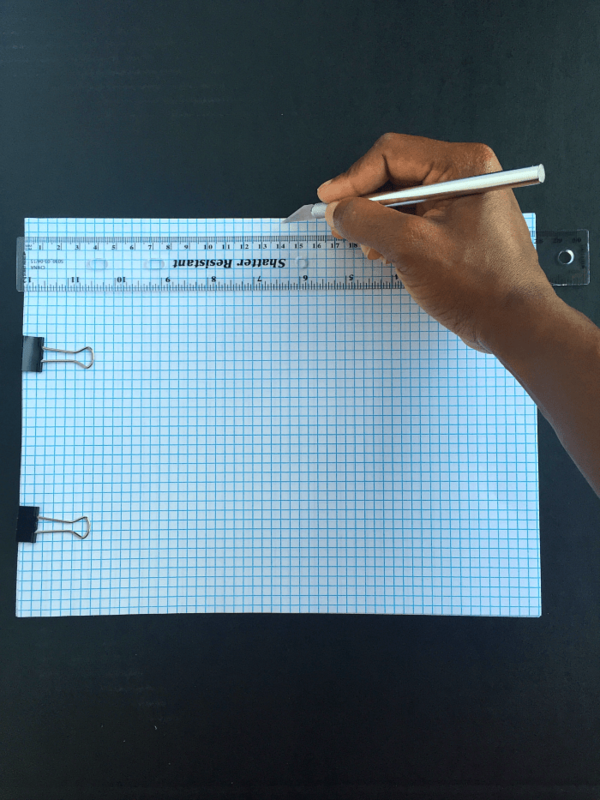 My daughter asked why I used graph paper instead of lined paper and here’s why. I like making mini checkboxes beside items on my list and the graph paper is set up in a way that allow me to just trace the boxes already on the sheet. As I complete each task, I can just check them off. I hope you enjoyed this tutorial as much as I did creating it. 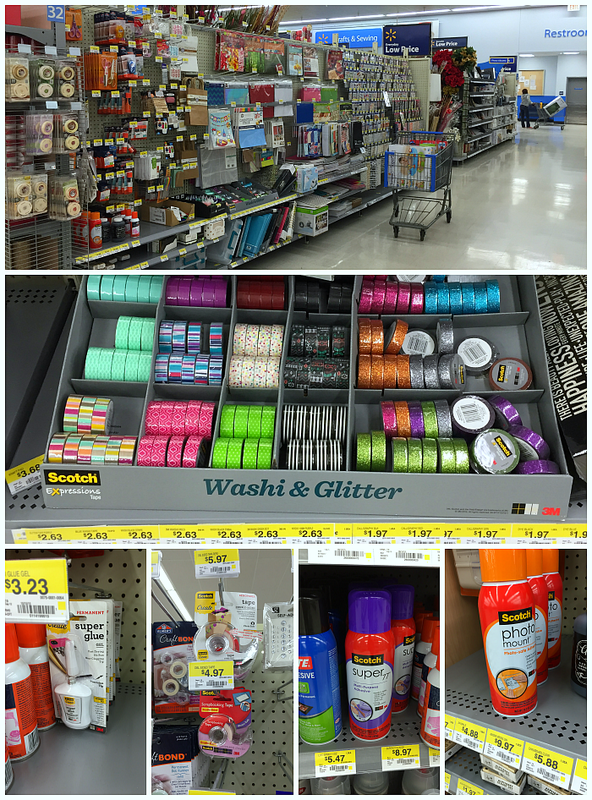 I found all of the Scotch® products for this project on the craft aisle at Walmart. If you make one of these share it on instagram, tag ApronsAndStilletos on Instagram and hashtag your picture with #CraftAmazing. 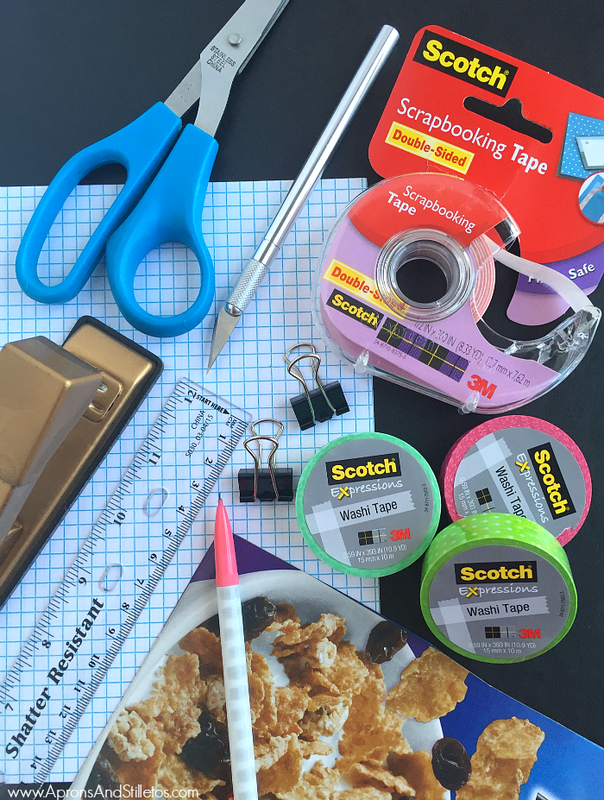 For more fun and creative products, check out these Scotch® crafts and more of my fun tutorials before you leave. This is terrific. 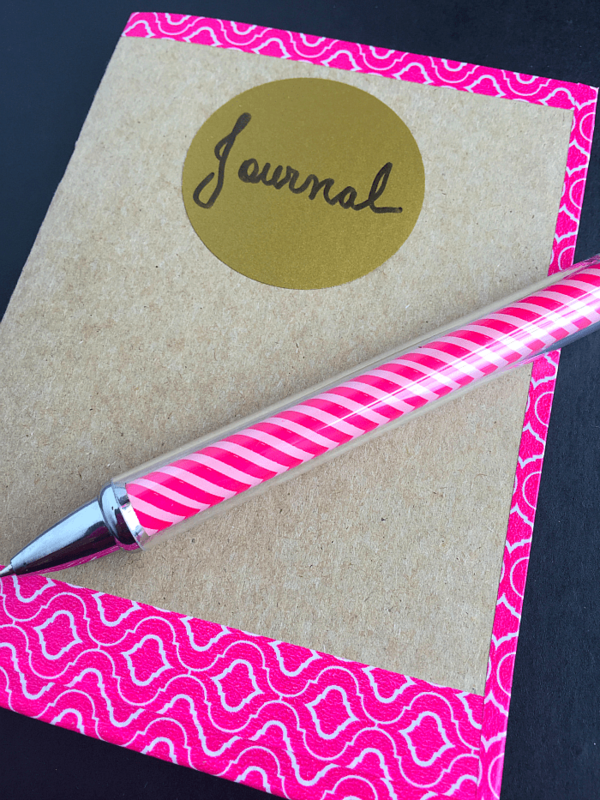 I'm all for journaling, from a young age – so I am all over this idea! Thanks for sharing the tutorial. 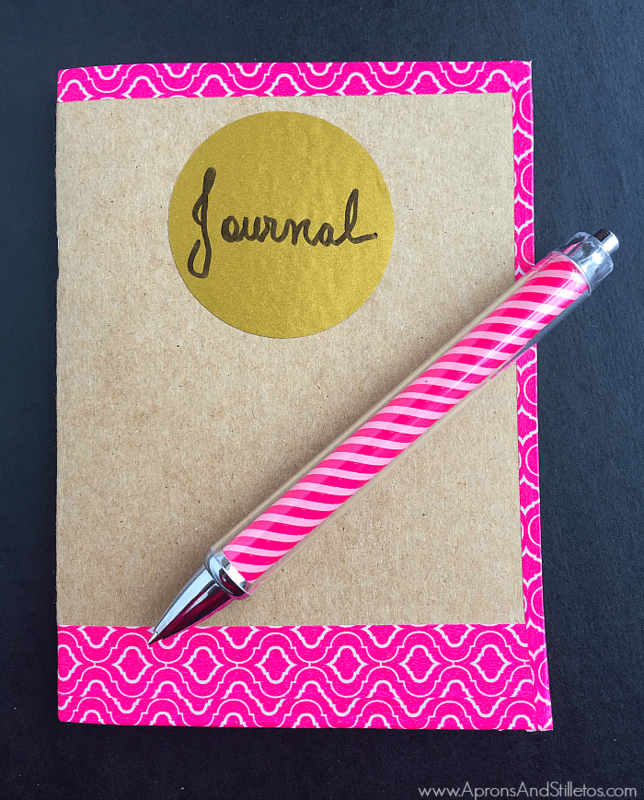 As a Literacy Specialist, I am a huge fan of keeping a regular journal. This is such a creative way to make one that is personalized. Love this project! This is the perfect craft for my daughter, and she would love the result. What a cute idea! I love it. I think my six-year old would like to make one with me. I've pinned. This is so pretty. I'd like to make one for myself. I'm glad your daughter asked that question because I wanted to ask it. It makes total sense now. Really cute washi tape! That came out awesome. I always have a notebook with me, so I would use that all the time. How many sheets of paper did you use? Did you staple all the sheets at once or did you do a few at a time? This looks like something I would love to make and my daughter would love it too. Thanks for the idea. Hey Christie, I used 17 sheets which when folded ha ve me 34 sheets. I also updated the post to go more in-depth on how I stapled the pages to the cover.